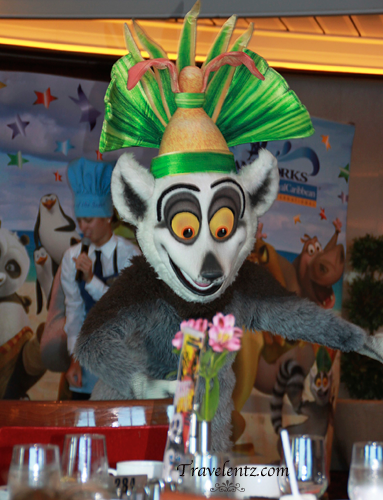 While at the Freedom of the Seas we got to enjoy their DreamWorks Character Breakfast featuring the main characters from the movies like Shrek, Madagascar and Kung Fu Panda. 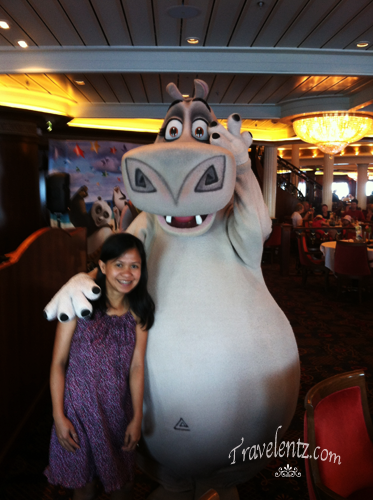 This is our first time we had opted for the Character breakfast. I made the reservation 4 weeks in advance.The breakfast time starts 8 a.m, and is a bit harsh for my parents-in-law. Hubby and I woke up early but father-in-law's leg was sore so he didn't made to the the character breakfast. 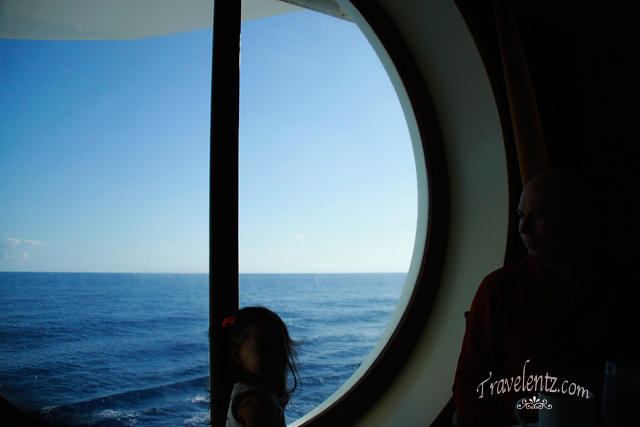 We decided to have table near the window so we can see the view.The food is good and Little Travelentz loves the pastry that served. 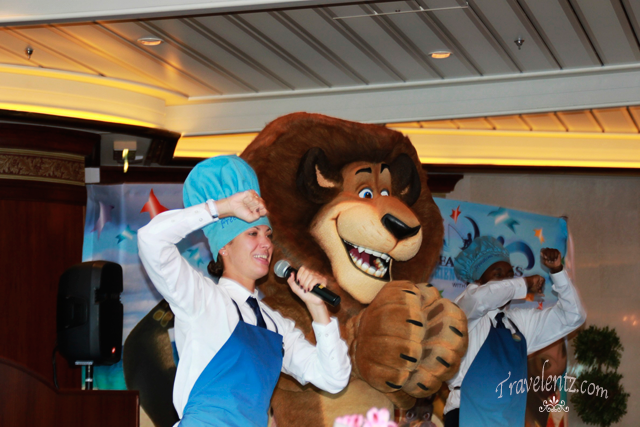 They won't tell you which characters are coming for breakfast.So we had no idea at all who's coming. He is cute isn't he. I like this little guy. Little Travelentz scared when Gloria went out and she doesn't want to have any pictures with them so I had an opportunity to have photo with Gloria.